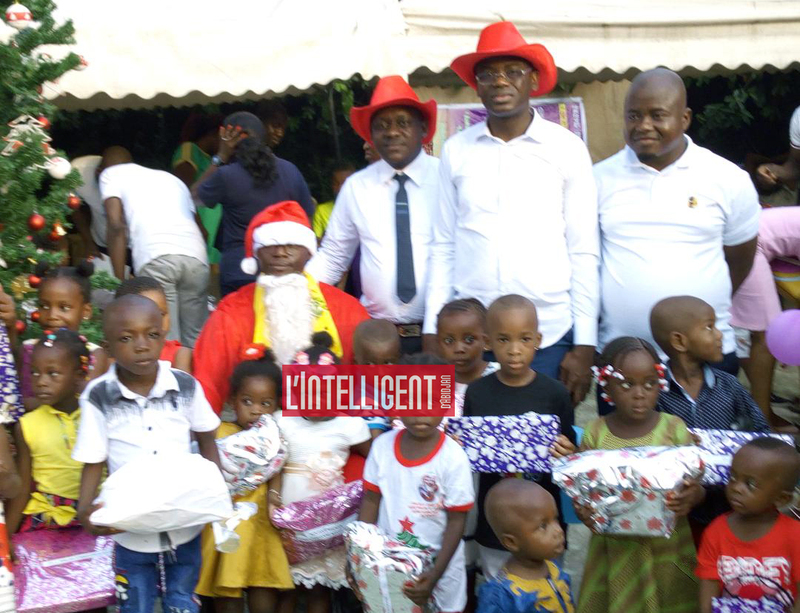 Approximately 500 children received gifts for Christmas on Saturday 22 December 2018, in an event space in Cocody, on the part of the mutual social agents of the immediate private of Côte d’ivoire (MS Media). On this occasion, the first officer (MS Media), Cisse Sindou, justified the initiative : “A Christmas tree to really achieve the ultimate goal of our mutual, which is the creation of a family, a real family within the media sector to private. We have started our activities since the beginning of the year with health insurance, followed by the solidarity fund and other social action, but the Christmas tree is the activity that gives all the meaning to the solidarity and familiarity that we want within our sector. By this gesture, we wanted to allow the children, to spouses, to the family of private media to meet, a time, or little, to commune together and share gifts, meals, and prepare you for the new year “. For Coulibaly Hamadou, director of human resources of everyday life The Intelligent of Abidjan and the parent of a beneficiary, it is a beautiful approach on the part of the initiators. “It is a good initiative on the part of the mutual, in the sense that it allows children to be in joy and believe it or not, a child’s joy, parents are the ones who are in joy. So this is only part of the personal development of the children of the members ” -he said. It made recommendations : “We hope that in the future the organizers are working to minimize the frustrations. Some people, for example, are left without their gifts simply because their names appeared in a list of organs of the press other than their own. So if improving, there must be, it would be in this sense “. Ngatta Rosine, a student of CE1, a doll in hand, is said to be happy and lucky to live this event.